Home » Community Happenings » Our power is back on, and we’re open! Our power is back on, and we’re open! Our power was restored late last night, and it’s good to be back! We will be accepting donations till 5:30pm today, and the store will be open for shopping till 6pm. Hope to see you soon. It sure was a scary microburst (more details here). We are very grateful to all of the PEPCO employees and other folks who have been out there clearing trees and downed electrical lines, the busy EMT and Fire Department crews, and the police officers who risked their necks directing traffic and keeping everyone safe – we saw them out there just minutes after the storm subsided! We are thankful that no one was seriously injured. 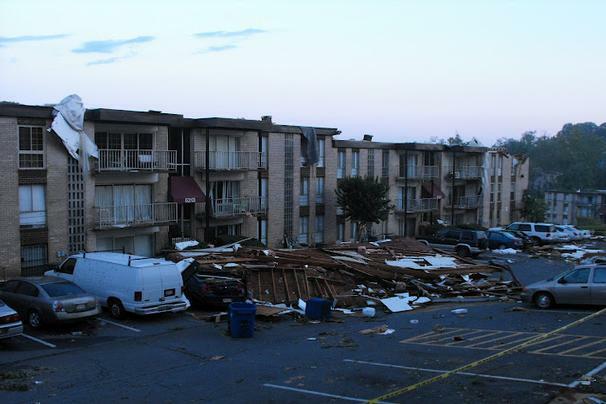 Our thoughts are with our many neighbors in Bladensburg who are now without homes, roofs, and cars – we are currently investigating how we can best help them, and we will keep you posted.